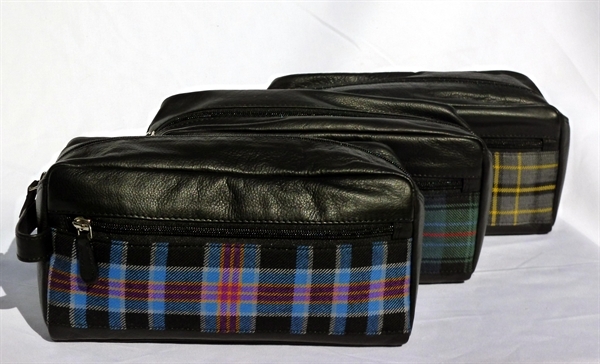 Leather Wash Bag. 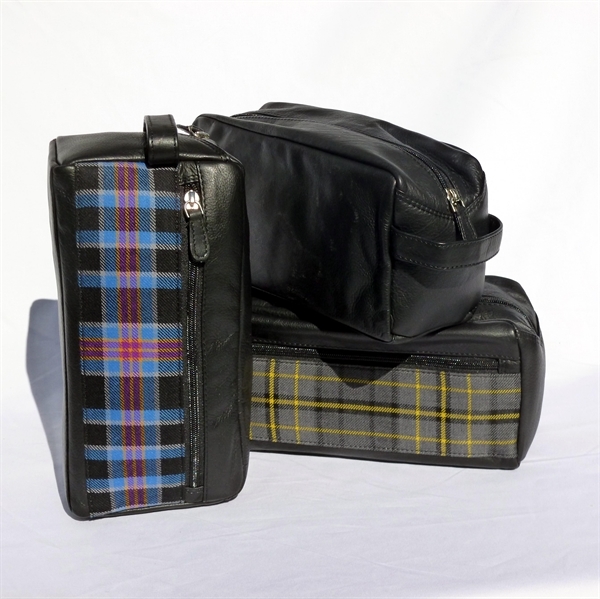 Beautifully made, front trimmed in your tartan.This is a Superb Gift made in soft, top quality Nappa leather. 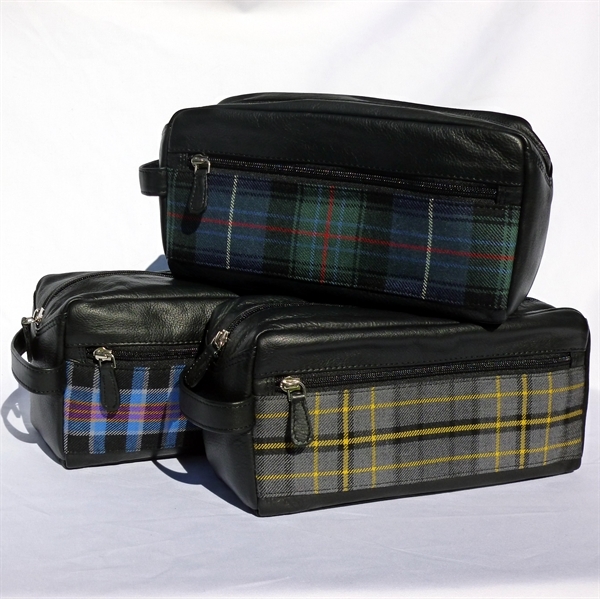 A useful well-made tartan accessory that will be appreciated for years. Can be embossed with corporate logo or embroidered. Minimum Order : 100 units (Black or Brown Leather).